It started as a dream. We envisioned our systems protecting more than just apartments, mansions, and small offices. They were securing factories, warehouses and the multi-story headquarters of large corporations. Our proprietary long-range radio technology Jeweller allowed us to think in those terms. But Ajax had limited security modes. That was an inconvenience for multi-room facilities. Individual detectors couldn’t be grouped together to keep massive spaces protected. Our newest update — Malevich 2.6 — leaves these limitations in the past. The ability to place individual groups under protection was one of the most requested features by both our users and our sales partners. As the suggestions kept coming, we had to keep development a secret, despite the fact that the basic Group Mode functions were good to go back in January. So why wait until now to launch Malevich 2.6? As it turns out, the groups feature is more complex than something like switching between partial or full arming. Nevertheless, we maintained our normal development cycle. We worked out all the processes while creating Malevich 2.0. Within a few months, we had completed 405 tasks in Jira, while testing in parallel. That’s where things got interesting. Over a six month period, we internally tested the most unexpected corner cases over and over again. That included, among other things, simultaneously setting off detectors in different groups with one siren, combining full arming with Night Mode, incorporating key fobs and keypads, and getting sirens to respond to delays. Some of these situations may rarely come up in real use, but that’s no excuse to leave them untested. After testing, we showed Group Mode to beta testers and partners. They, in turn, granted access to clients. And we began to get feedback about Ajax devices. Beta testing has expanded to several continents and ensures that new features operate smoothly and are easy to use. Administrators can activate Group Mode in the Ajax Security System app, or a security professional can do it for their clients using the Ajax PRO app. Up to 9 groups can be created— that’s enough to secure large premises of any type. For homes and apartments: Protect individual rooms, garages or safes. 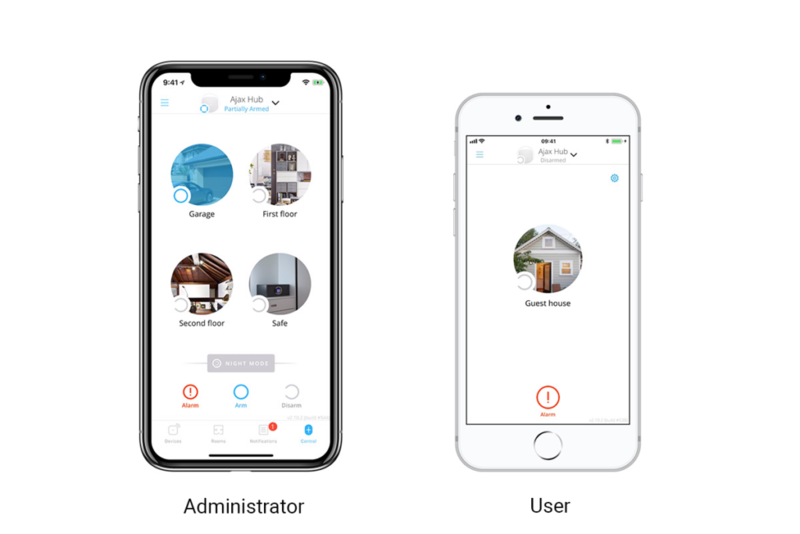 Give family members, roommates or tenants the ability to control Ajax completely or restrict access to certain areas. For offices and stores: Restrict access to an employee’s offices or authorized spaces. Assign personal passcodes to the security keypad and control when and by whom the office can be disarmed. 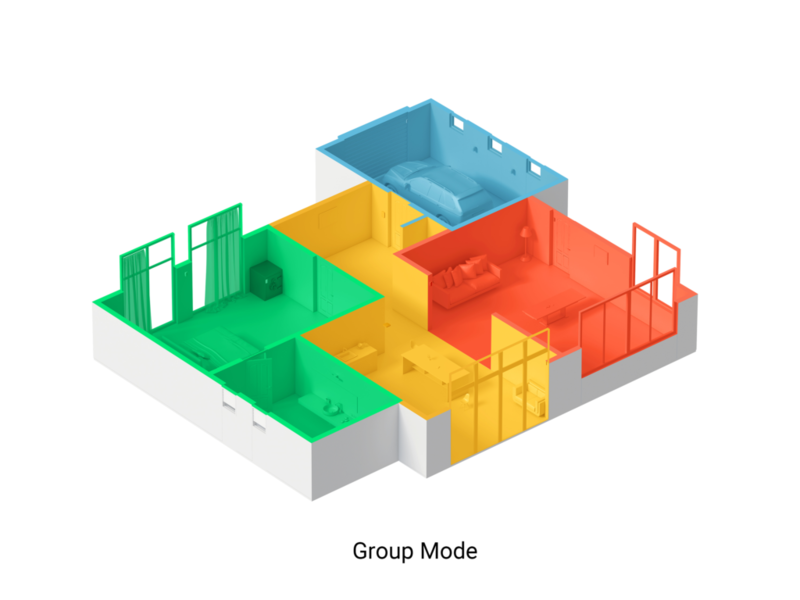 After activating Group Mode, you’ll need to virtually divide your detectors into several groups. It’s worth noting that room settings will remain unchanged. Group Mode has a new interface. Normal users see the groups that they are allowed to arm/disarm. Administrators see everything. Partial arming has become Night Mode. We did some research and found that partial arming was mostly being used for night time security. So now the name coincides with what it was made for. 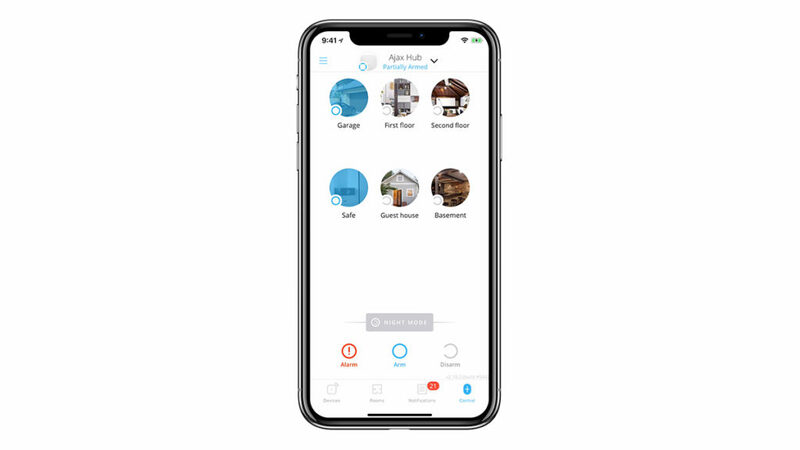 In the detector settings of each device, you can activate round-the-clock security, set a delay for entry and/or exit, and arm it in Night Mode. Malevich 2.6 contains a useful feature for offices and companies with fewer than 50 employees. Now each person can create a personal code that arms or disarms the system using the KeyPad. And if you connect an electric lock using WallSwitch, you won’t need to worry about keys at all. With Group Mode activated, personal codes will only be valid for groups that the user has permission to access. And all information about arming and disarming is displayed in the notification tab in the app. That includes the name of the user as well as any unsuccessful attempts to enable or disable security. Even with the introduction of personal codes, the security system can still be armed/disarmed with a universal keypad code. This means the 50 user limit isn’t really a limit. In the SpaceControl settings, key fobs can now be assigned to a specific user or group. That means notifications show not only what is being armed or disarmed, but who is doing it. After connecting the Ajax security system to a central monitoring station, most users give administrator rights to the security company. This can be inconvenient, since this also means losing access to useful features. On the other hand, most security companies cannot justify giving full control to users, since they bear material responsibility for the security operation. 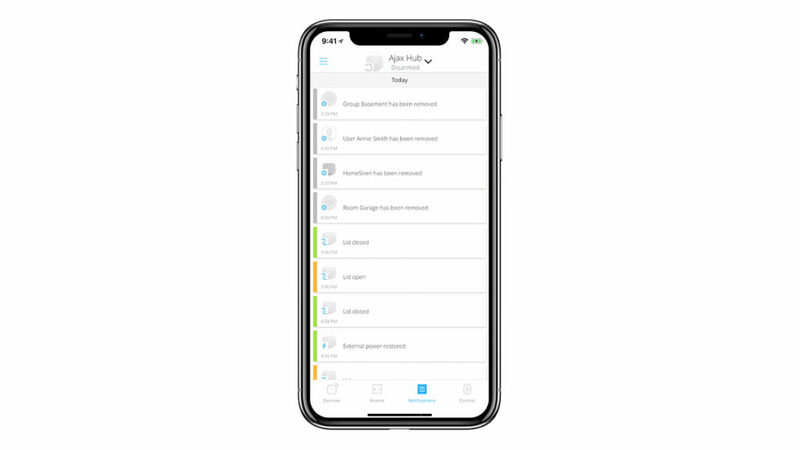 So we made a change— adding and removing groups, rooms, users, detectors, and cameras are shown in the notification tab. This way, these types of changes won’t go unnoticed. 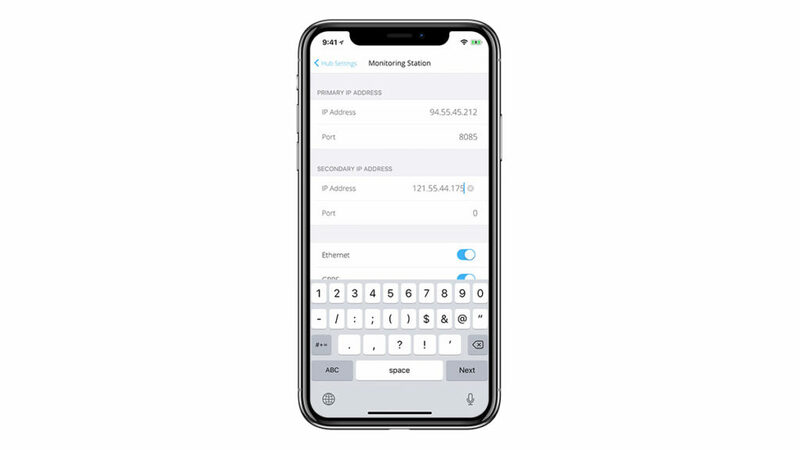 We hope this tweak will increase the already strong mutual trust between companies and users. Malevich 2.6 gives administrators the ability to restrict a user’s access to groups, device lists, and notifications can be restricted. That means you can now comfortably grant somebody access to individual rooms without worrying that they’ll go somewhere they’re not supposed to. Naturally, with each of these changes, the mobile app also gets an interface update. Entry and exit delays have been moved to the detector settings. They can also be activated in Night Mode. We’ve also added the ability to specify a second IP address for sending an alarm directly to the security company, making the system twice as reliable. This year, the Ajax lineup will get a new addition— the ReX radio repeater. 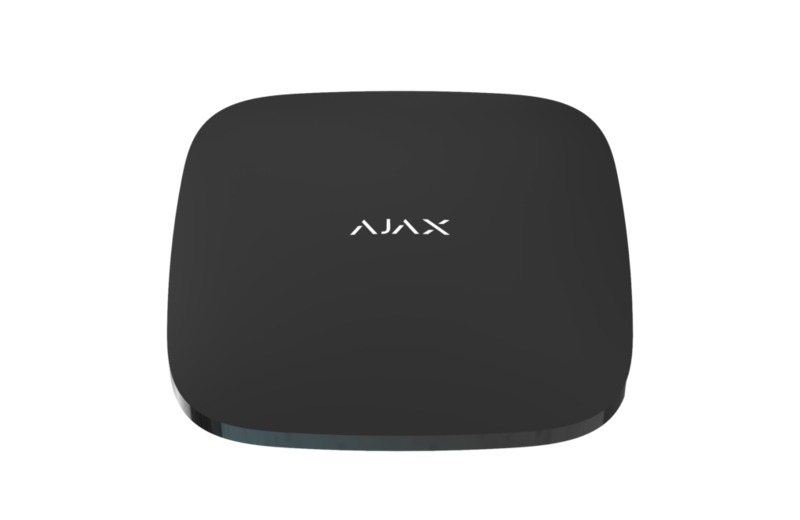 Our newest device will increase the range of the Ajax security system several times over. 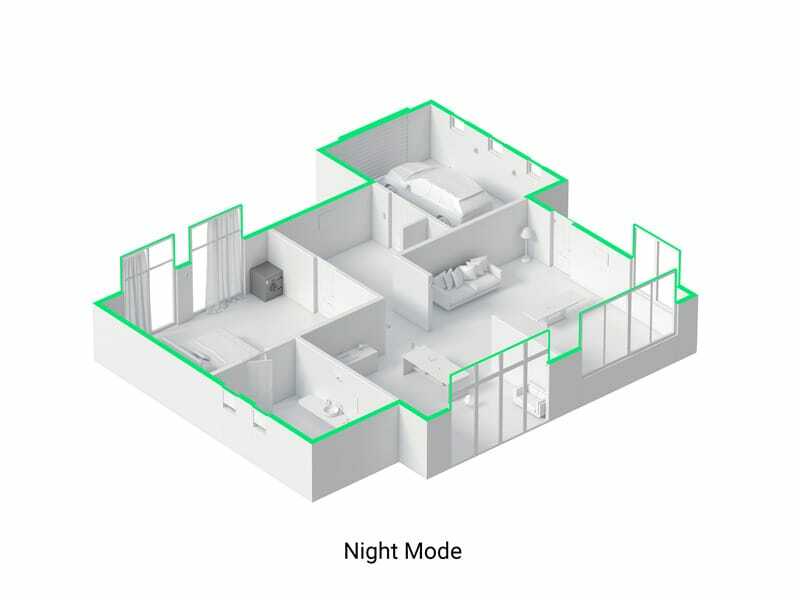 ReX will make it easier to protect particularly large areas: warehouses, factories, multi-story offices, and country houses with separate buildings. Stay tuned!